Some 25 years ago, Daniel Patrick Moynihan, a Harvard professor who in the course of his career served as United States ambassador to the United Nations and a US senator from New York, coined the phrase “Defining Deviancy Down.” The phrase was meant to describe a social trend in which behavioral standards declined over time to the point that what was once intolerable became broadly acceptable. 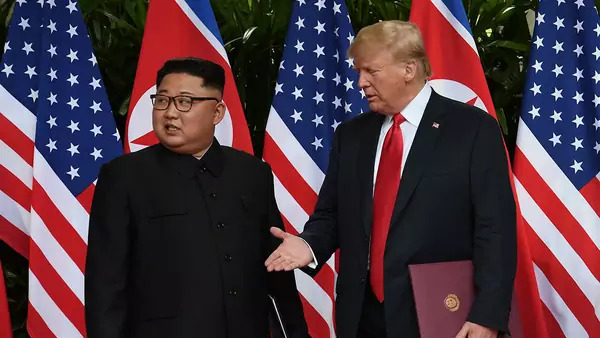 Already there is evidence that neither South Korea nor the US is anxious to demand from North Korea a full accounting of all its nuclear materials and weapons, without which real denuclearization cannot be carried out and verified. The concern appears to be that North Korea would balk at such a request, causing a crisis. Instead, South Korea has suggested that it ought to be enough for the time being if North Korea simply destroys one or another nuclear facility. The US, for its part, is counseling patience and advising skeptics not to demand too much of North Korea too soon. In both cases, what we are seeing is a reluctance to give North Korea a test that it might fail. North Korea will perhaps understandably resist a negotiation in which it is asked to do everything before it receives anything. It will demand compensation, most likely in the form of relaxing economic sanctions, if it were to eliminate any nuclear capacity. China and Russia would surely support such a request. But rewarding North Korea generously for partial measures reduces its incentive to take additional steps, much less complete the process of denuclearization. This risk is related to the focus on denuclearization. Achieving it is an understandable priority for the US, but South Korea must worry as much, if not more, about North Korea’s non-nuclear or conventional military forces that threaten Seoul, home to roughly 20% of South Koreans. The danger is that differing priorities drive a wedge between the two allies, benefiting North Korea.